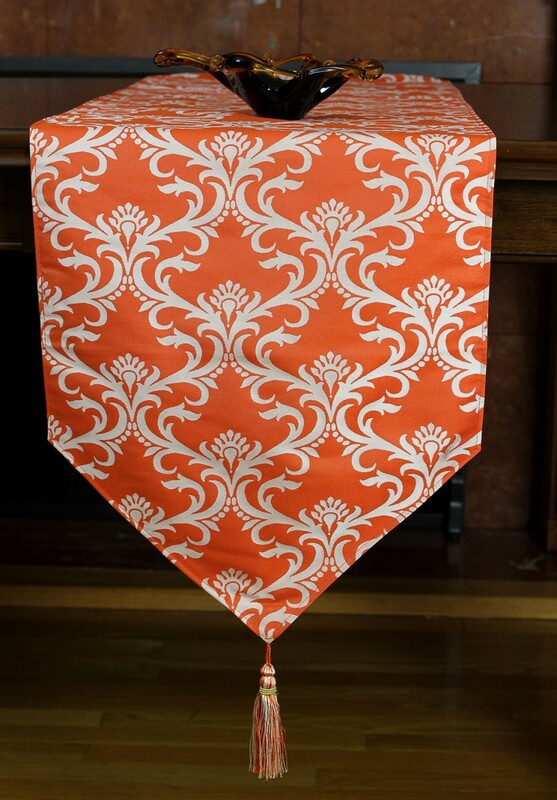 This gorgeous table runner features a bold, damask-like pattern that is sure to get noticed, no matter where you put it in your home. 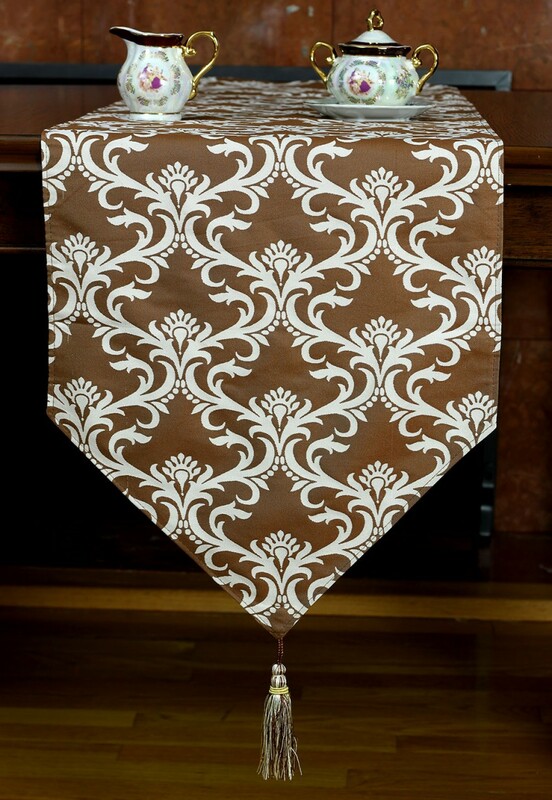 If you’re looking for something completely re-imagined to complement your favorite table and existing home decor, you’ll find it in this stunning Damask-Style Table Runner. 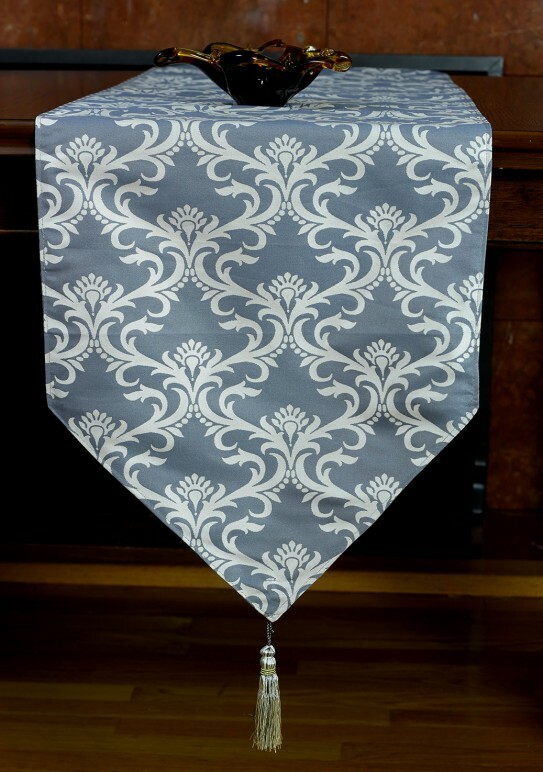 With a contrasting damask-like design and high quality fabric, you can be sure that no matter where you put this beautiful runner, it will add a touch of uniqueness and sophistication to your surroundings. 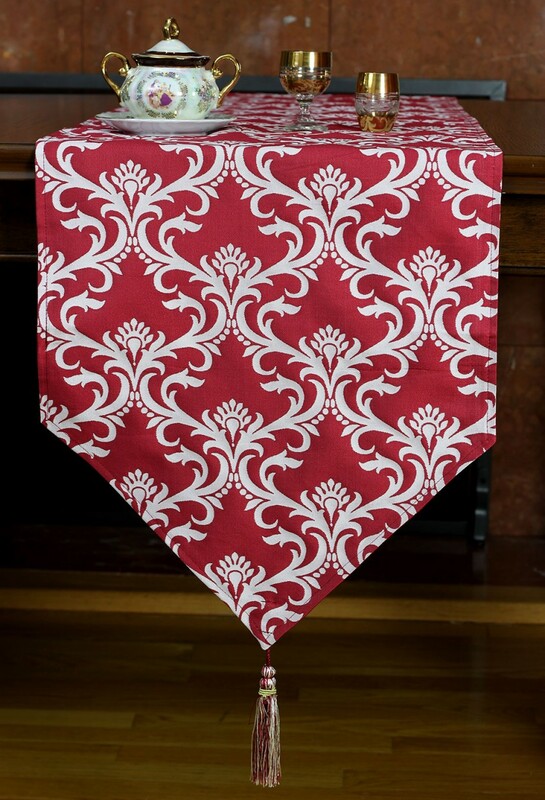 High quality fabric and practical construction make this charming table runner a wonderful choice, and you’ll love the way it balances out your current surroundings. 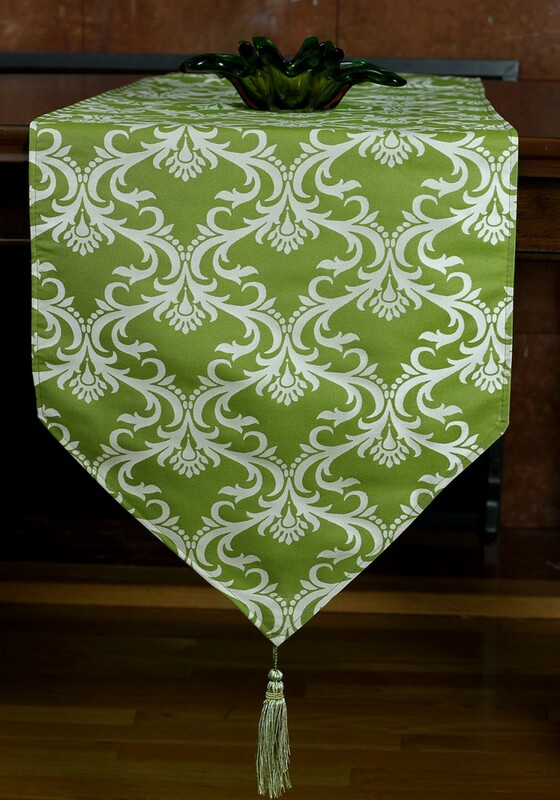 Get creative and place this table runner in your bedroom or family room for a pop of color, or leave it on your dining room table to provide the perfect finishing touch for a formal meal.